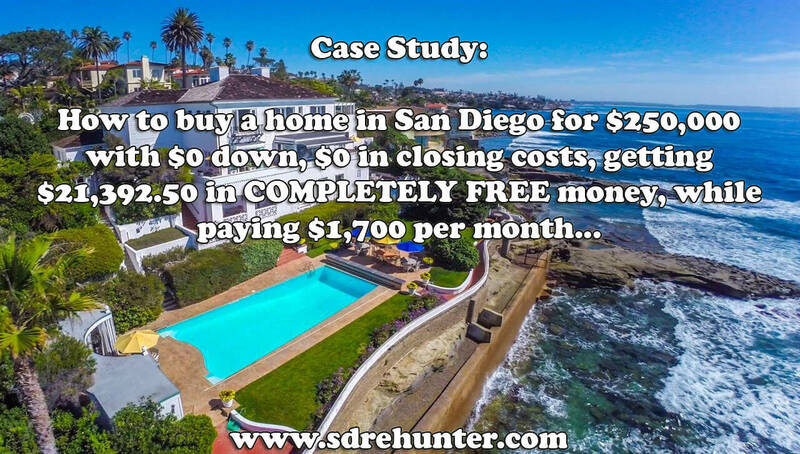 Today's message will be a case study. 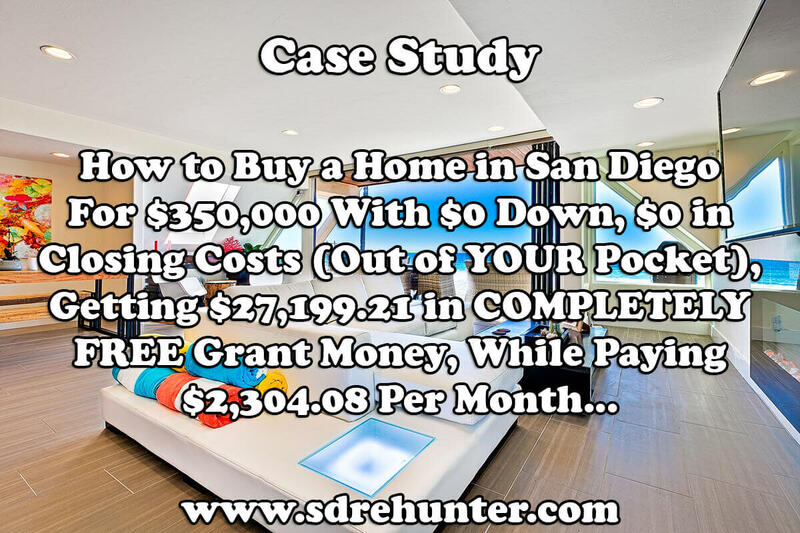 How to buy a home in San Diego for $250,000, putting down ZERO money, paying ZERO in closing costs (out of pocket), and (probably) paying less in monthly mortgage payments than you do RIGHT NOW for rent. But, probably unlike any you've ever seen. 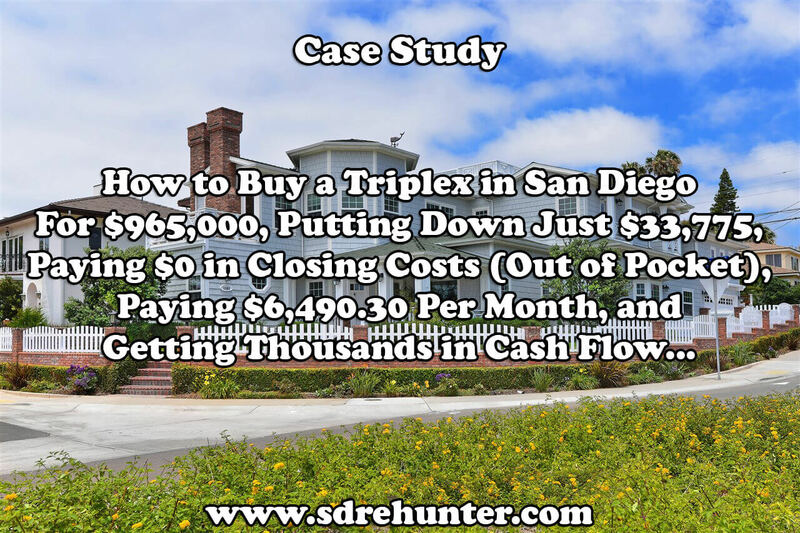 We're stepping up the purchase price, more units, more opportunities. 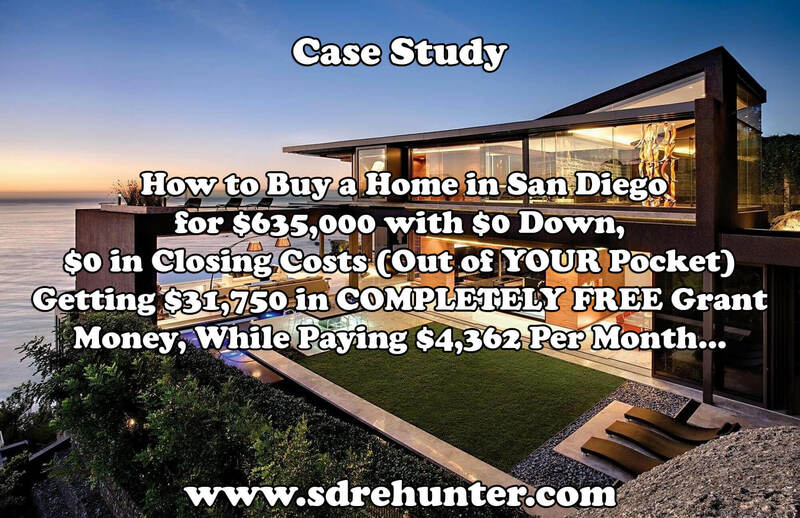 But, with as little cash out of pocket as possible - both, for the down payment and closing costs. 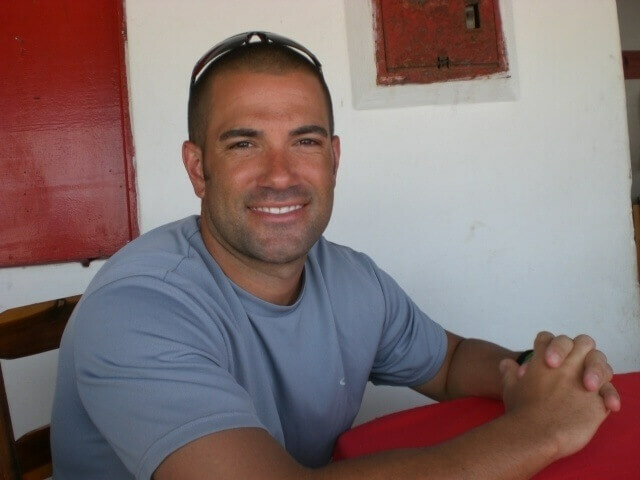 I thought I failed you. 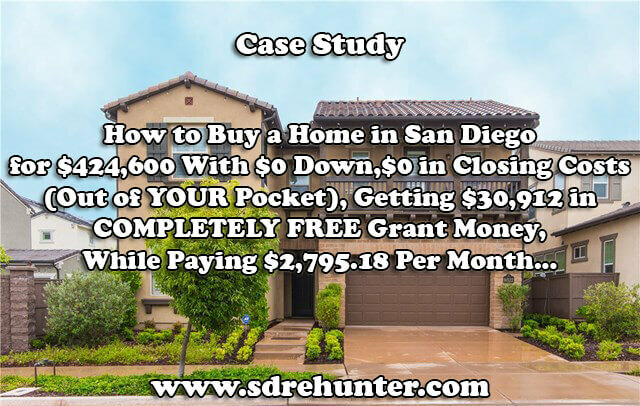 The State of California offers grant programs where they give you (completely free) money to use towards your down payment and/or closing costs to buy your next home or condo in San Diego. Today's message will be my favorite type of post - a case study. 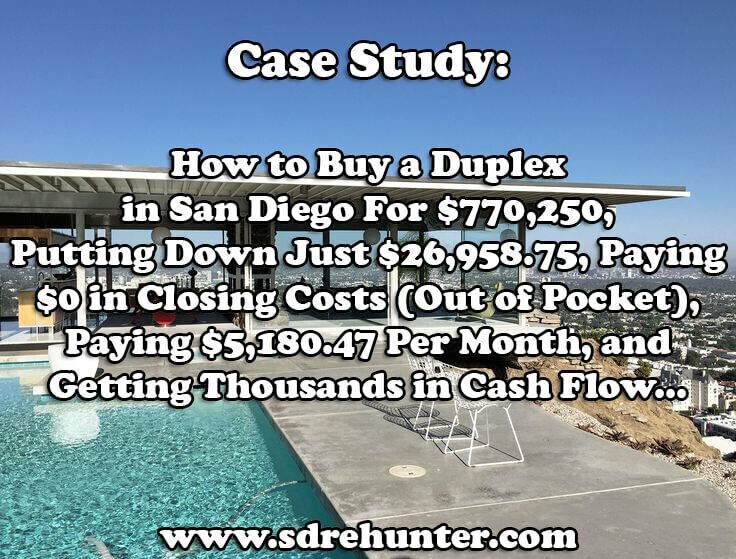 How to buy a duplex in San Diego for $770,250, putting down just $26,958.75, paying $0 in closing costs (out of pocket), paying $5,180.47 per month in payments, and getting thousands in cash flow. 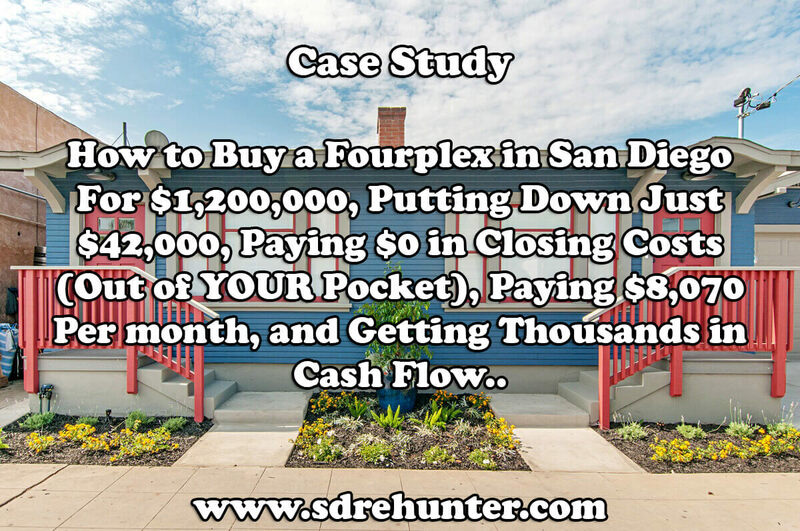 Case Study: How to Buy a Fourplex in San Diego for $1,200,000, Putting Down Just $42,000, Paying $0 in Closing Costs (Out of YOUR Pocket), Paying $8,070 Per month, and Getting Thousands in Cash Flow..
We've all seen the shows. Lately it's been a husband and wife team. 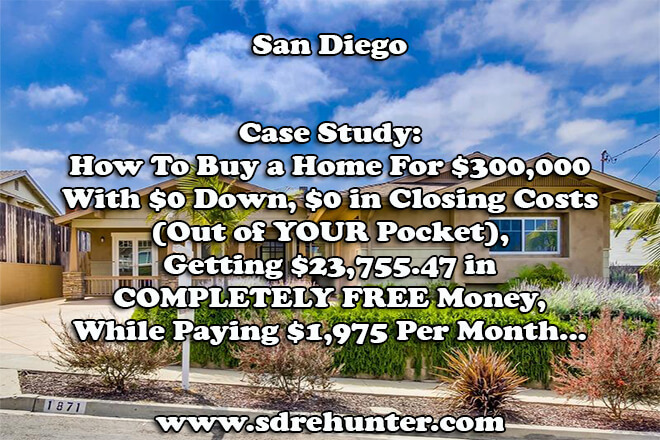 They (pretend) to buy real estate for pennies on the dollar - when, in reality...I am sure it's at retail prices.